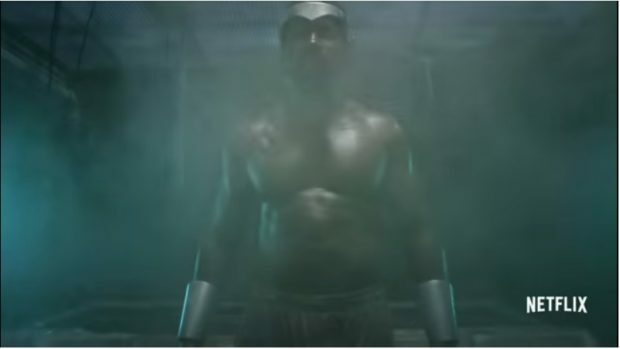 Longer than the teaser released at Comic-Con, this pretty much has what we need: a quick glimpse of Luke Cage’s origin, strong appearances by Misty Knight and the villain Cottonmouth, more Rosario Dawson as the link among all of Marvel’s Defenders, and, oh yes… star Mike Colter nodding to the original Power Man costume and then moving on. Well played. Sweet Christmas, are we ready for September 30? In the meantime, catch up on David Walker’s Power Man and Iron Fist to get in the mood. And the brief teaser for how it all comes together for Netflix: The Defenders.